This is painted on a 20 x 20 x 2". 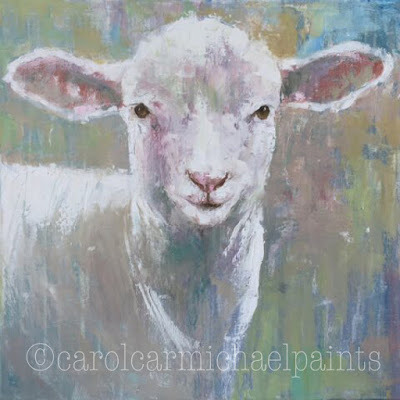 For those of you who do not paint....this was done with a palette knife as compared to the lamb in my last post that I did with a brush. I like both tools. Fun to mix it up.